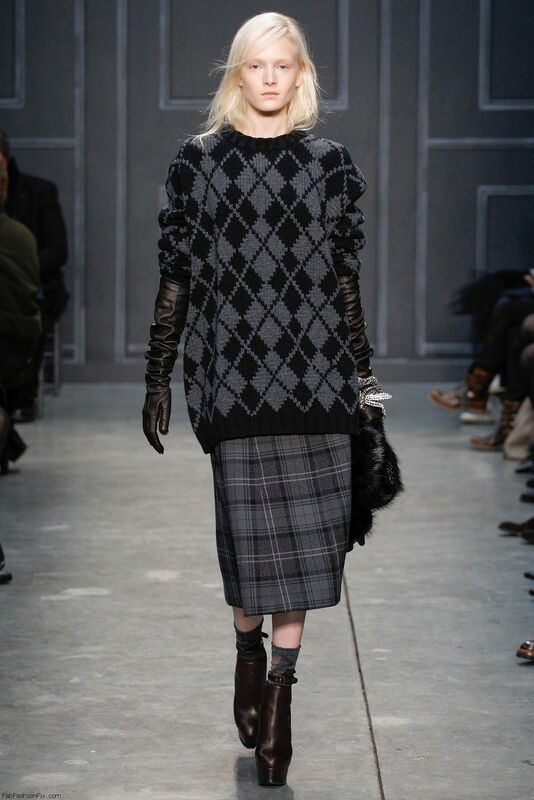 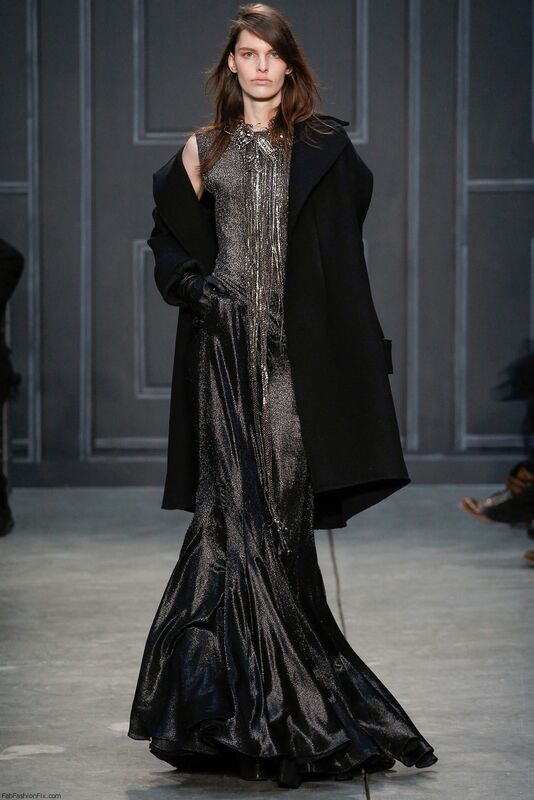 American fashion designer Vera Wang presented her fall/winter 2014 collection at New York fashion week fall 2014. 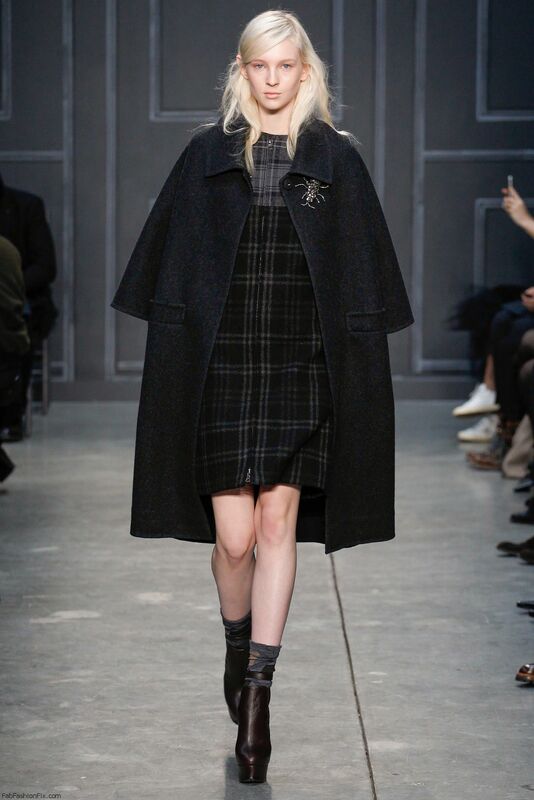 This was probably her most rebellious collection till now since we are usually used to seeing her design signature romantic dresses. 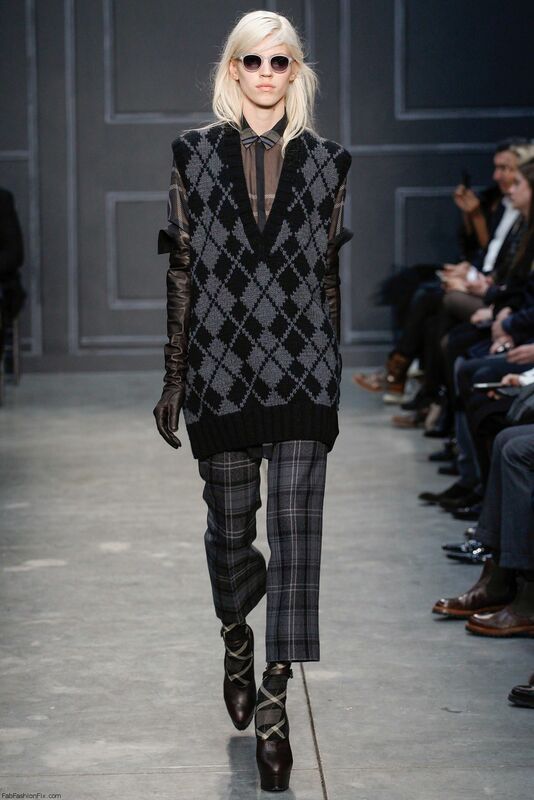 She reached out to the younger crowd with more edgier and tomboyish clothes. 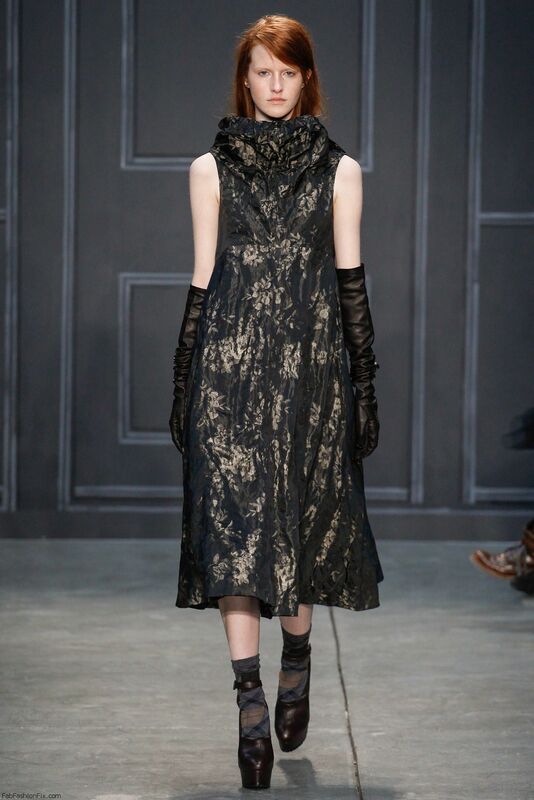 Wang stated for WWD: “I was thinking dark romantic but with a kind of strength to the sensuality”. 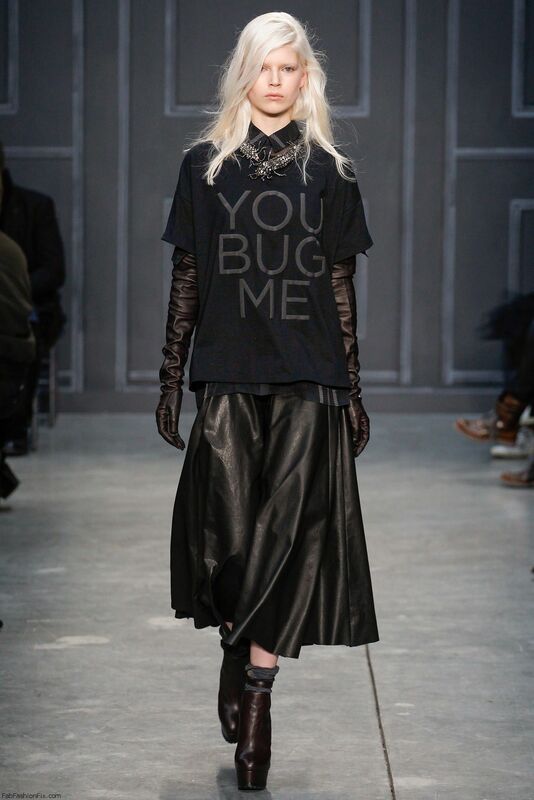 She adopted a grungier feel which resulted in so much black color all through the collection. 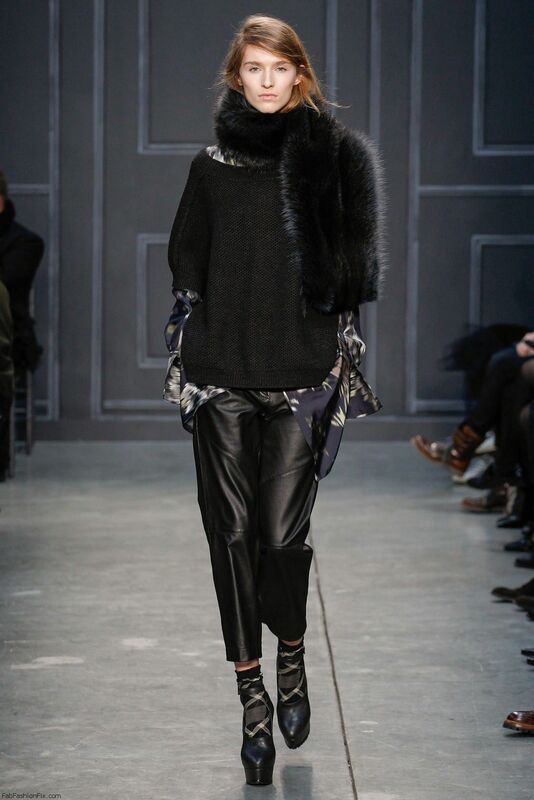 The focus was on black leather pieces, chunky knitwear and wool coats. 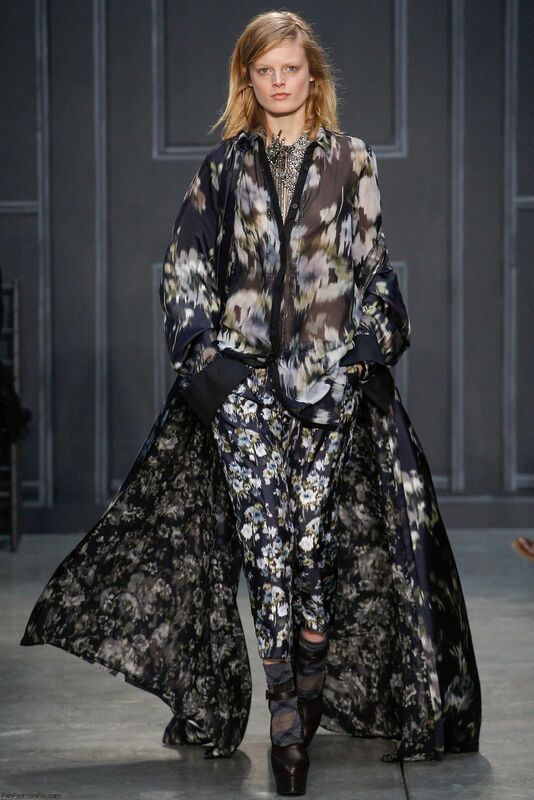 For the evening looks sheer flowy dresses for black elegance.